Adopt-a-Puppy-now has been created because of the success of the puppy adoptions which is based upon a win win dynamic. I started this puppy venture to find at risk and unwanted puppies/dogs and get them into loving, safe homes. I began with two puppies pulled from a shelter to now having placed hundreds of puppies & dogs in new homes in the New England and Mid Atlantic areas and beyond. I never dreamed that what I had started a few years ago on a whim would now be growing and expanding as it is today. I lived in Boston MA for 25+ years before making my way south. I recognized early upon my arrival that the pet situation was very different from up north. I came from an area that has a lack of adoptable dogs to one with a huge overpopulation problem. 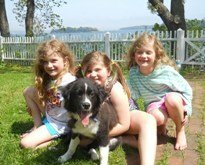 My Puppy adoptions venture exist to relieve suffering and to turn that into joy. I am uplifted and amazed as to how well this all has comes together. 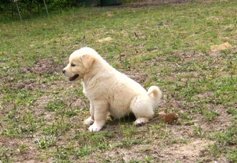 I now have the process down, after some minor trial and errors, to locate the puppies, connect with the new owners and make the arrangements for the puppies to make their way to their new homes. I concentrate on finding what I call family oriented dogs. 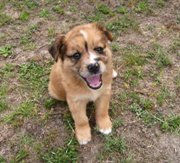 The vast majority of the puppies I find are a mixes and I primarily look for Golden Retrievers, Collies, Australian Shepherds, Bernese Mountain Dogs, Labs and others. There are occasionally purebreds with no papers. These puppies for adoption have really great dispositions and have been proven to have less health issues than the pure breeds. Great family dogs. Please choice to adopt a puppy and be sure to utilize the other resources videos, articles and quality products for your best friend.